SHOWDOWN - The 2nd Annual Winter Showdown is scheduled for Saturday and Sunday, February 27th and 28th at Kern County Raceway, in Bakersfield, California. The main event of the weekend will be the Sunday afternoon, $30,000 to win, “SPEARS Manufacturing Winter Showdown 250” for Super Late Models. The weekend opens with the “51 FIFTY Energy Drink Opening Night”, featuring the Lucas Oil Modifieds and Race for Autism Qualifying Races on Saturday night. FIFTY FOR 36 - More than fifty of the top Super Late Model drivers from around the nation will be vying for the 36 starting positions and their share of the $180,000 in prize money to be awarded at the Winter Showdown. TOP FIVE RETURN – With more than fifty top Super Late Model drivers, representing 15 states entered in the 2016 Winter Showdown, the top five finishers from 2015 are returning; Bubba Pollard from Senoia, Georgia, Dalton Sargeant from Boca Raton, Florida, Derek Thorn from Bakersfield, California, Blaine Rocha from Oakdale, California and Preston Peltier from Mooresville, North Carolina. QUALIFYING BONUS – One of the new awards added to the Winter Showdown for 2016, will be the fast qualifier award, which will pay $2,000 to the top driver in Winter Showdown qualifying. “SHOWDOWN’S BONUS” - Two of the richest Super Late Model events in the nation will once again team up to award a $10,000 bonus to the driver who performs best overall at the 2016 Winter Showdown at Kern County Raceway Park and the June 25th Summer Showdown at Evergreen Speedway. The “SHOWDOWN’S BONUS” award is presented by SUNOCO Race Fuels, Five Star Bodies, Progressive Racing Engines, Hoosier Tire West, Hamner Racing Engines, Coors Light, the SPEARS Southwest Tour Series and Evergreen Speedway. LUCAS OIL MODIFIEDS – Nearly thirty Lucas Oil Modifieds teams have submitted entries for Saturday night’s event of the Winter Showdown. MAVTV – The 2016 Winter Showdown will be nationally televised on MAVTV. It will be a tape delayed broadcast with the airdate to be announced. LAST CHANCE RACE CASH AWARD – With ten laps to go in the “Pinnacle Peak Steakhouse Last Chance Race” of the Winter Showdown, the yellow flag will be displayed and the top three cars in the transfer positions will leave the track to get ready for the Winter Showdown 250. The cars left on the track will then race for the win and $2,000. COORS LIGHT / SPEED51.COM BONUS – An extra $10,000 bonus will be paid to one of five eligible drivers who score the best finish at the Winter Showdown. By way of their Snowball Derby performance, a Speed51 fan vote and being the defending Winter Showdown race winner; Bubba Pollard, Cole Anderson, Donnie Wilson, Dalton Sargeant, and Preston Peltier will be the five drivers competing for the $10,000 Coors Light / Speed51 Bonus. RV SPOTS – Hundreds of RV’s will converge on Kern County Raceway Park for the Winter Showdown, to reserve your RV spots, contact Kern County Raceway Park directly at 661-835-1264. VISIT BAKERSFIELD WINTER SHOWDOWN KICK-OFF PARTY – TEMBLOR Brewing Company at 3200-Buck Owens Boulevard will host the “Visit Bakersfield Winter Showdown Kick-off Party” on Thursday evening February 25th from 5pm to 7pm. Great food and drink, driver interviews, autographs and raffle prizes. Race team rigs will be on display. Free to everyone and all ages welcome. MORE INFO – For more information on the 2016 Winter Showdown, go to www.SRLSouthwestTour.com. The Havasu 95 Speedway will open its spectator gates this Saturday afternoon for another round of their winter racing series. The most scenic quarter mile asphalt track in the southwest will be presenting their President's Day Classic featuring racing action from the Late Models running twin 50 lap main events, the Get It In Gear Street Stocks, Sam Nichols Electric Factory Stocks and the Maintenance Solution Team Factory Stocks. Because of ongoing chilly night time temperatures, this event will be a day race. The spectator gates will open at 12pm with the racing receiving the green flag at 2pm. All of this Saturday afternoon fun and excitement is being presented by the race sponsor, the Mud Shark Brewery. The high powered Late Models will be running their fourth 50 lap main of the winter season with the three previous races producing three different winners. Nick Joanides scored the first trip to the Havasu 95 victory lane back on November 28th. Then, on a January 16th event that featured twin main events, Jeff Peterson and Trevor Huddleston celebrated their wins. The fact that this series has turned up three winners in three races is a testimony to how equal, and challenging, the competition is among the Late Model teams. The Get It In Gear Street Stocks will be making their eighth appearance of the season this Saturday. Since the speedway's 2015-2016 winter season began back in October, the street stock racing has been centered around two drivers: Gavin Bucy and Bobby Keirns. Bucy started the season literally on fire and won six, consecutive, main events. Meanwhile the veteran, and former track champion, Keirns scored six consecutive runner up finishes which allowed him to stay within striking distance of Bucy in the division's championship points. Keirns found his way to victory lane this past February 6th taking the checkered flag with a very decisive margin of victory of 2.501 seconds. With four races left on the street stock schedule, this run for the championship is far from settled. One level of guaranteed excitement, on the Havasu 95 race schedule, you can always count on is the Sam Nichols Electric Factory Stock division. For years this division has enjoyed a loyal fan base created by their racing is rubbing main events that kept the fans standing on their feet. So far this season, driver Brent Delay has been the division's hot shoe collecting four main event wins within a period of two months. Jeff Prieur has found the Havasu victory lane twice this season and Chris Weiss scored his first feature win back on January 16th. The Maintenance Solution Team Factory Stocks was created just a few short years ago by speedway promoter, Bill Rozhon. The concept calls for three rotating drivers, with at least one of them having to be a lady, collecting championship points for their teams. Current hot shoes among the group are Jose Guevara, Clint Almquist, Chris Weiss and William Guevara. Four appearances so far this season has turned up four different winners and that speaks volumes regarding how competitive this division. The drivers will have their hands full this Saturday because it's their turn to race on the dirt infield track area and that's always fun to watch. On Saturday Mud Shark Brewery race day the spectator gates will open at 12pm. General admission tickets, age 17 plus, are $12 and $10 for seniors, military personnel and the handicapped. Tickets for kids, age six to 16, are $12 with kids five and under admitted free when accompanied by a paid adult. Additionally, Lake Havasu Unified School District students can receive a one dollar discount on their tickets by presenting their school IDs at the ticket gate. The speedway also offers a budget friendly family pack that admits two adults and two kids for $25. Also for $25, fans can enjoy the special amenities of the speedway's VIP Lounge featuring the best seats in the house. Advance tickets can be purchased from Peggy Gerchman at Peggy's Sunrise Café located at 1584 Country Shire Avenue. For out of town race teams and fans, the Quality Inn and Suites is the official motel of the Havasu 95 Speedway. Located at 271 South Lake Havasu Avenue, they offer beautiful and spacious rooms at very affordable rates. Call 928 855 1111 for reservations which can also be made online. 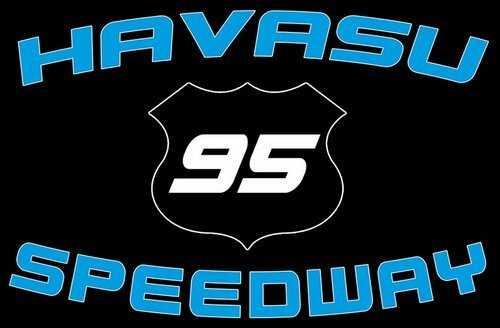 For more information regarding the speedway winter racing season dial up their website, www.havasu95speedway.com or visit their Facebook page.